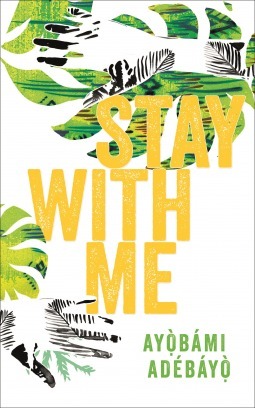 Unravelling against the social and political turbulence of 80s Nigeria, Stay With Me sings with the voices, colours, joys and fears of its surroundings. Ayọ̀bámi Adébáyọ̀ weaves a devastating story of the fragility of married love, the undoing of family, the wretchedness of grief, and the all-consuming bonds of motherhood. It is a tale about our desperate attempts to save ourselves and those we love from heartbreak. This debut was one of my most anticipated releases of this year after I came across an article about it in an issue of The Bookseller, and now that I've read it I can confirm it definitely deserved a spot on that list. If there's something I've discovered about myself this year, it's that I really enjoy stories set in Nigeria; I loved Chimamanda Ngozi Adichie's The Thing Around Your Neck (reviewed here) and I loved this debut. Simon @ Savidge Reads (a booktuber you should all be watching if you aren't already) described this book as a thriller about a marriage and I completely agree with him. What I love most about this book is that you read the blurb and think you know what the book's going to be about, and when you finish it there's no way you could have possibly guessed the twists and turns the novel takes; it reminded me of the way I felt while reading Sarah Waters' Fingersmith (reviewed here), constantly being surprised and thinking I knew a character only to be proven wrong. It's such a joy to read! At times it can be quite a dark, emotional book, don't go into Stay With Me thinking it's going to be fairly tame simply because it's about a marriage, but nothing feels gratuitous and, despite everything that happens, at no point did I feel as though Adébáyọ̀ was trying to deliberately shock me for the sake of it. Her characters are so real and fleshed out, particularly Yejide and Akin, and she explores the intricacies of their relationship and what their culture expects from them so skilfully and respectfully. In a culture where it isn't considered unusual for a man to take more than one wife, Yejide and Akin are unusual in that they've chosen to be monogamous, so you can imagine Yejide's heartbreak and surprise when, right at the beginning of the novel, she discovers Akin has taken a second wife. It would have been so easy to make this a story in which Akin is a villain, but Adébáyọ̀ doesn't treat any of her characters as stereotypes; just as she explores the strain of their culture on Yejide and what is expected of her, we're also shown what's expected of Akin as the man of the house and how traditional masculinity can be just as toxic as traditional femininity when it's forced upon a person. I didn't expect to go through this book liking Akin as much as I liked Yejide, but by the end of it I really did love them both and felt as though I'd been on a real rollercoaster ride with them. I sat down with this book one evening after work and read it in one sitting, that's how much I loved it. It just pulled me through. Initially I gave it four stars, but the more I thought about it, and the more I realised how often I was thinking about it, I knew I had to bump it up to a five star read. Please, please go out and read this book this summer, I think it's a fantastic debut and I can't wait to see what Adébáyọ̀ brings out next - whatever it is, I'll be eagerly awaiting to get my hands on a copy. Glad to see you enjoyed this one! I have been wanting to pick it up; it's the Bailey shortlist book that interested me the most, and your positive review has moved it up even higher on my list.